Ray Bradbury’s Zen in the Art of Writing, a collection of essays on writing and creativity, is infused with unparalleled joy and passion for the craft of writing. It’s an easy, relaxing read that imparts unique insight to boost your writing habits and keep ideas flowing freely and naturally. Ray Bradbury is one of the masters of science fiction, most famous for his novels Fahrenheit 451 and The Martian Chronicles. He came up during a time when science fiction and fantasy were taken even less seriously by literary elites than they are today — yet his work not only went mainstream, it was academically acclaimed. I was first introduced to Bradbury as a reading assignment in high school. Later I delved into his life as an author, reading and watching every interview I could find online. The man was a fountain of wisdom, and his jovial demeanor makes him a pleasure to read and watch. The theme that ties all essays in this book together is creativity and the act of keeping a healthy fountain of ideas flowing. Bradbury shares his wisdom on this topic not by preaching to aspiring writers about what they should be doing but by explaining what he did. He explains that he started writing a thousand words a day every day at the age of twelve. My personal daily goal as a writer is also a thousand words per day, although I didn’t start when I was twelve, and I often don’t hit my goal, especially when a project moves into editing and publishing phases. Reading these words gave me the chills, because this is a phenomenon I have experienced myself. I get pretty cranky if I go too long without writing. It doesn’t have to be a thousand words — an authentic 100-word poem or a quick freewrite can satisfy my need to write in a crunch. I’ve heard other authors express a need or a desire to write or a love of writing, but I’ve never heard it expressed in quite the same way as Bradbury, who felt a little crazy if he went too long without writing. Suffice to say, I can relate. These lists eventually became a warehouse of story ideas for Bradbury. He’d pluck words from the lists and write long prose-poem essays about them. In doing so, he’d create a character who would turn the whole thing into a story. When he rode a carousel as a child, it terrified him, and he avoided it thereafter, until it re-emerged years later when he was writing Something Wicked This Way Comes. One of my favorite parts of the book was when Bradbury declared that every person is a poet when lit up by their passions. He spoke of people who weren’t creative types, definitely not writers or poets or masters of language, but he observed that when a person talked about something they cared about, their words flowed smoothly and naturally and they become a poet for the duration of that conversation. I too have witnessed that phenomenon, and I thought it was an astute observation. As writers, we can conclude that our best work might emerge when we write from our hearts. The book also contains a lot of content that would be considered memoir, covering much of Bradbury’s journey of becoming a writer from the age of twelve until much later in his life. It carries the reader through his early work and submission (and rejection) process to “making it” and later adapting his own work for other mediums. 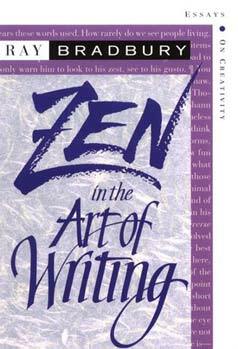 In this sense, it reminded me a bit of Stephen King’s On Writing, although in Zen in the Art of Writing, the memoir is interwoven with the advice, which is presented as personal experience (you can do with it what you will) whereas King’s book was more clearly divided between memoir and definitive advice; however, both books are vital for any and every writer to read. He suggests writing 1000-2000 words a day, one short story a week for fifty-two weeks a year for five years. Eventually that quantity will produce works of quality. This is something I’ve found works with poetry. If I write a poem almost every day for three months, there will be a few pieces that can be polished and worthy of submission. Bradbury talks about the necessity of long-term practice to gain expertise, but here too he has a unique take, because he talks about becoming proficient enough at writing that one can relax into it, until it’s no longer work in the sense that it requires intense focus and effort. This reminded me of learning choreography in dance class, where we would do a routine over and over until it became second nature and was embedded in our muscle memory. 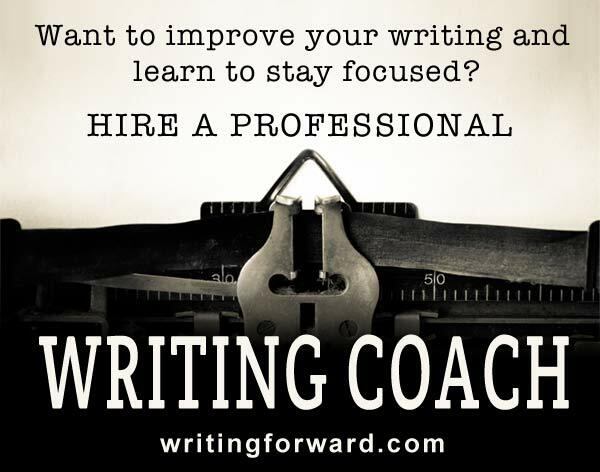 When we get that comfortable with writing, we can truly fly, but it takes a lot of practice to get there. From word association to lists of nouns and tips for naming things and characters, Ray Bradbury is full of insightful and enlightening tips for writers. 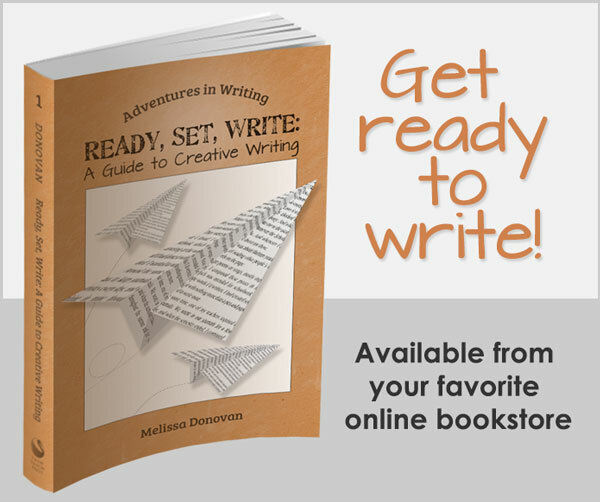 Part memoir, part writing advice (presented in a passive, here’s-how-I-did-it way), and packed with tips to keep your creativity on fire, Zen and the Art of Writing is a must-have for any writer, especially those who want to find passion and joy in the craft. Hi My name is Mystie and I am a huge fan of your website. I would just like to let you know that I noticed a typo in one of your papers. It is called Creative Writing Prompts “You’re is digging in the garden and find a fist-sized nugget of gold. There’s more where that came from in this hilarious story of sudden wealth.” Is what you wrote. Please check out my website and book a class/advice session! You are great! -Mystie! Thank you for catching the typo, Mystie. I appreciate it. It’s all fixed now.